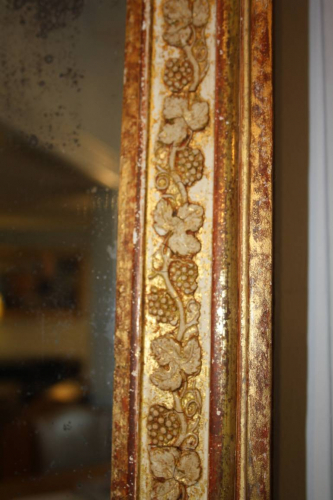 A good size mirror which can be hung portrait or landscape, with gilt gesso details of grape vines around the frame. Original mercury glass plate with some foxing in square patches but overall does not stop reflection. French Napoleon III c1848 - 1870.